Tollywood hunk Rana Daggubati is riding high on the success of Baahubali 2. He won appreciation for his role as an antagonist in the magnum opus. He might be roped in to play a very important role in Chiru 151 titled as, Uyyalawada Narasimha Reddy. After proving his spectacular talent in films like Baahubali and Ghazi, Rana Daggubati is currently one of the most sought after actors in India. It is being said that director Surender Reddy has designed a special role in this period drama. 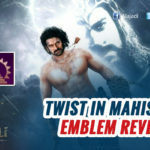 The makers of the film are planning to meet Rana Daggubati for the role soon. Rana admires Chiranjeevi a lot and he is also Ram Charan’s best friend. Generally, an actor of Rana’s age and stature, would be very skeptical about experimenting roles. However, Rana took the stride and achieved great success. What kind of a role do you think Rana would play, if given a chance in Uyyalawada Narasimha Reddy? It takes a great deal to work with a super star like Chiranjeevi. Will Rana and Chiranjeevi’s combination create any magic on screen? Chiru may join the shoot of ‘Uyyalavada Narasimha Reddy’ in August and he is trying for a makeover. There were also reports that the makers have approached Bollywood heroine Viday Balan to play the wife character of Chiranjeevi. Aishwarya Rai Bachchan’s name is also under consideration for the role. It would definitely be great to see Mega Star Chiranjeevi and Rana Daggubati together on screen! Fingers Crossed!